These magic numbers could help struggling readers succeed. Download the free Education Leader’s Guide to Reading Growth to get even more research-driven insights that support the reading growth and achievement of students at your school. Can reading practice help transform struggling readers into successful readers? And by doing so, can we change the trajectory of their long-term educational careers­—perhaps even influence their odds of graduating from high school and attending college? 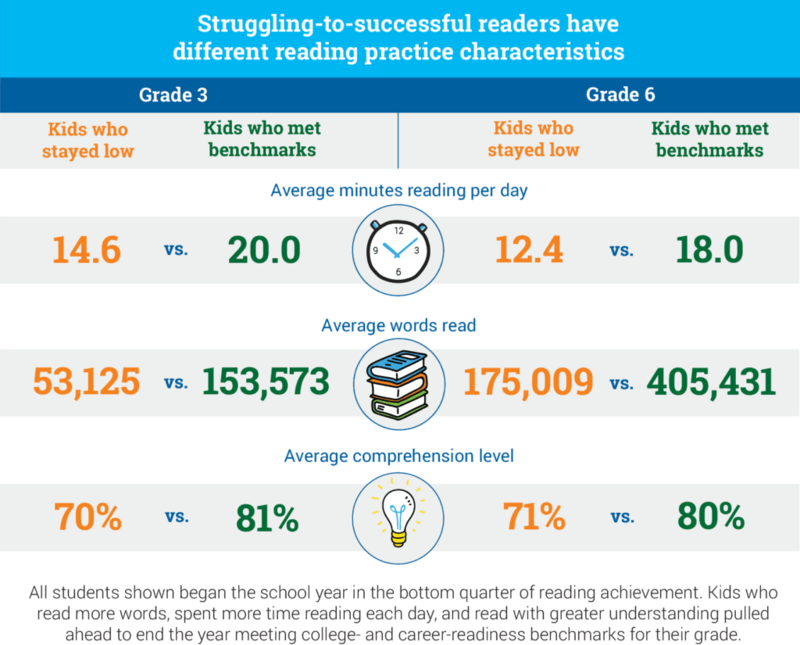 The following ten statistics about struggling readers and reading growth, originally included in a recent article series by Renaissance, show how even a small increase in daily reading practice could make a huge difference for all students. 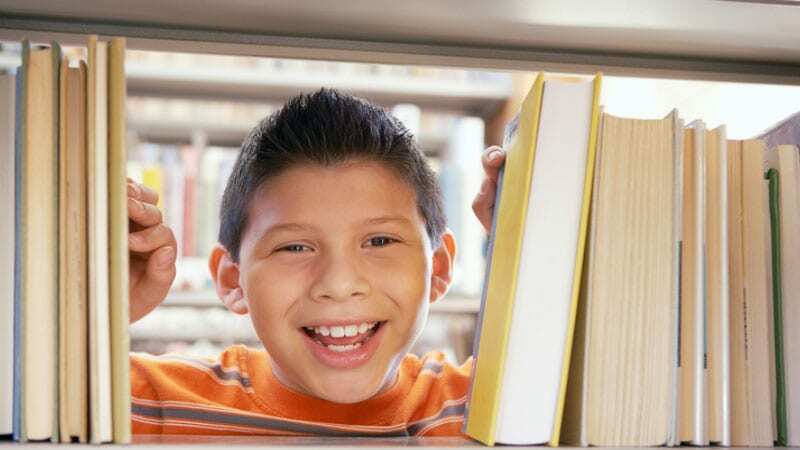 Results from the world’s largest annual study of K–12 student reading habits found that students who started the year as struggling readers but ended the year at or above benchmark each day read just six more minutes than struggling readers who did not meet benchmark. Struggling-to-successful third graders also read 100,448 more words and had 11 percent higher reading comprehension than their peers, while struggling-to-successful sixth graders read 230,422 more words and had 9 percent higher reading comprehension. 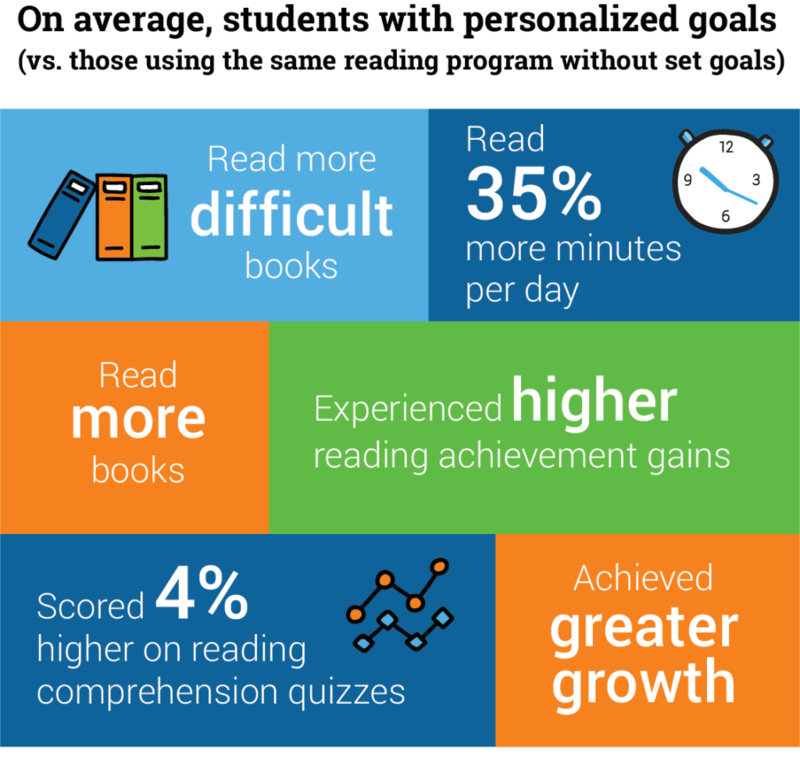 An analysis of more than 9.9 million students found that only those students who read 15 minutes or more per day made accelerated reading gains. Students who had less than 15 minutes of daily engaged reading time saw below-average reading gains, putting them at risk of falling behind their peers. Students who read between just over a half-hour and an hour per day saw the greatest gains of all. Worryingly, more than half of all students do not get enough daily reading practice. A mere 18 percent of students read 30 minutes or more per day, and another 28 percent had 15 to 29 minutes of daily engaged reading time. The remainder—54 percent—read less than 15 minutes per day! In a longitudinal study of nearly 4,000 students, researchers found that nearly 1 in 4 students (23 percent) with “below-basic” reading skills in third grade had not graduated high school by age 19. Among “proficient” third-grade readers, only 1 in 25 (4 percent) did not graduate. This means proficient third-grade readers were nearly five times more likely to graduate high school than their peers with below-basic-reading skills. 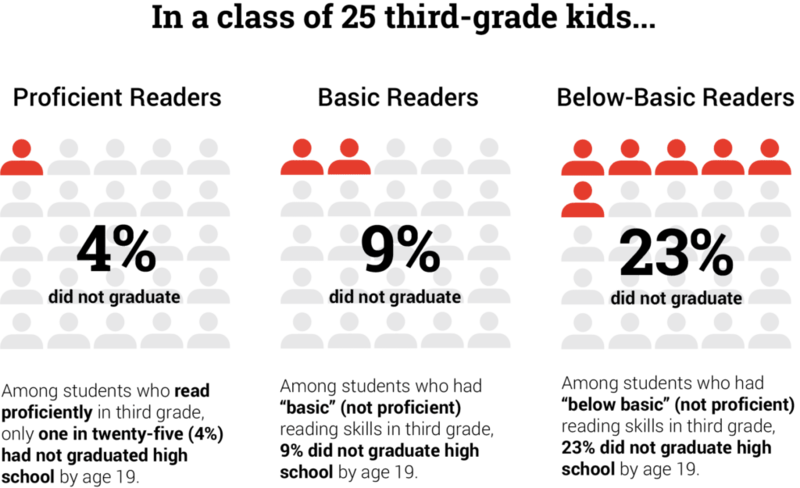 In a longitudinal study of nearly 13,000 urban students, researchers found that 82 percent of sixth graders who had failed an English class did not go on to graduate from high school. 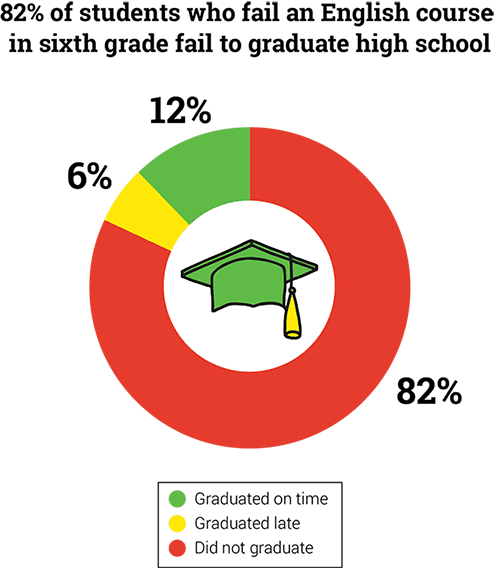 Another 6 percent of those students who had failed English in sixth grade graduated late, while only 12 percent of those sixth graders who had failed an English course went on to graduate high school at all. If you think reading practice doesn’t matter for older students, think again. NAEP results show that students who read more frequently have higher scores—and the score gap between frequent readers and infrequent readers gets bigger as students get older. Among nine-year-olds, there was only an 18-point difference between children who reported reading “never or hardly ever” and those who read “almost every day.” By age 13, the gap widened to 27 points. At age 17, it further increased to 30 points! Some researchers estimate that children learn 1 new word for every 1,000 words read. 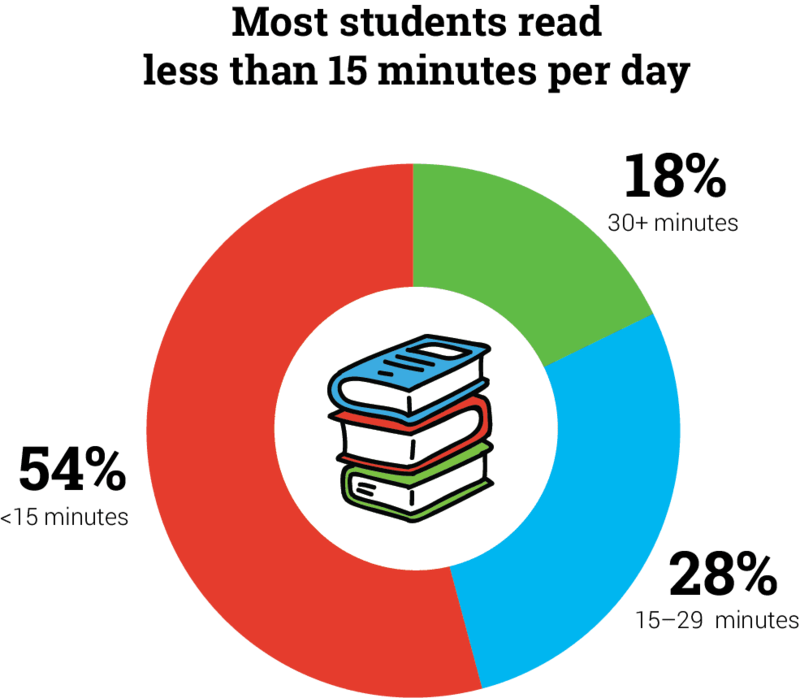 Between kindergarten and twelfth grade, students with an average daily reading time of 30 or more minutes are projected to encounter 13.7 million words—so they should learn around 13,700 new vocabulary words from independent reading practice alone. In contrast, students who read less than 15 minutes per day would learn only 1,500 new vocabulary words from reading. That’s a vocabulary gap of 12,200 words! How can we encourage students to spend more time reading? Set personalized goals! A study of more than 4.2 million students found that students with personalized goals set as part of a research-based reading practice program read 35 percent more minutes per day, read more difficult books, and had 4% higher literal comprehension scores than students who used the same program but without set goals. Reading skill matters for more than just reading! Students in the top tercile (i.e., the top third) of reading skill answered 70 percent more math and science questions correctly than students in the bottom tercile, even on questions with low reading difficulty. The top readers answered 66 percent of these questions correctly, compared to only 39 percent correct for the bottom readers. Students who get lots of high-quality reading practice every day are much more likely to be college and career ready. A study of 2.8 million students found that students who read 30 or more minutes per day with high comprehension (85 percent or higher) were nearly twice more likely than typical students to achieve the college and career readiness benchmarks for their grade as typical students. Of course struggling readers need high-quality instruction and intensive support in order to learn essential reading skills. The data suggest they also need time to practice applying those skills. What if we made a few additional minutes of daily reading practice a reality for all struggling readers? For all students? Could this help more students reach grade-level goals? Graduate high school on time? Stay on track for college and career success? Imagine the possibilities! Want More Insights into Struggling Readers and Reading Growth? Download the free Education Leader’s Guide to Reading Growth to get even more research-driven insights to support the reading growth and achievement of all students at your school. Dr. Gene M. Kerns and Dr. Jan Bryan are academic advisors for Renaissance, bringing more than 40 years of combined experience as educators, professors, and consultants.